"Michael Aschner is an outstanding scientist who will bring an important new dimension to Einstein's research portfolio," said Allen M. Spiegel, M.D., the Marilyn and Stanley M. Katz Dean of Einstein. "His work on how heavy metals affect brain development and function has broad implications, ranging from elucidating basic questions regarding brain cell injury to practical issues related to environmental pollutants." Dr. Aschner's research interests are in the neurobiology and physiology of astrocytes, specialized cells of the central nervous system, and the mechanisms of injury to the central nervous system. He has been particularly interested in metal uptake and distribution in the brain, devoting the last 25 years of his research to investigating the transport of methylmercury, manganese and uranium across the capillaries composing the bloodbrain barrier, as well as the cellular and molecular mechanisms of neurotoxicity. A principal investigator on multiple research grants from the National Institutes of Health (NIH), Dr. Aschner also studies the consequences of manganese deposition in the brains of newborns. He has served on numerous national and international toxicology panels, including those for the Institute of Medicine, Environmental Protection Agency and Centers for Disease Control and Prevention. He has also chaired an NIH study section and authored approximately 300 peer-reviewed manuscripts and chapters in the area of neurotoxicology. Dr. Aschner comes to Einstein from Vanderbilt University Medical Center in Nashville, Tennessee, where he holds an endowed professorship of pediatrics and pharmacology, is director of the division of clinical pharmacology and pediatric toxicology, director of the center for molecular toxicology, and director of the training program in environmental toxicology. Experienced Chief Executive Officer with a demonstrated history of working in the biotechnology industry. Skilled in Entrepreneurship, Venture Capital, Molecular Biology, Biotechnology, and Drug Development. Strong business development professional with a PhD focused in Biochemistry from The University of Sussex. Dr. Bikash Medhi is Professor &amp; Additional Medical Superintendent (AMS) in PGIMER, Department of Pharmacology. His area of expertise is Experimental Pharmacology, Clinical Research, Regulatory Pharmacology, Development of nano-formulations, Pharmacogenetics, Pharmacogenomics and Stem cells etc. He has more than 20 years of teaching and research experience and has owned more than 50 prestigious national and international awards namely, Dr. D N Prasad memorial award with Gold medal 2009 from Indian Council of Medical Research (ICMR), New Delhi, V K Bhargava Award with a Gold medal from National Academy of Medical Sciences 2013, Col. R N Chopra Oration 2014 by Indian Pharmacology Society(IPS), NN Dutta Award 2016 by Indian Pharmacology Society(IPS), Dr. B N. Ghosh Oration at 43 rd Annual Conference of IPS and International Conference on “Pharmacology &amp; Translational Research” He is in core panel of expert for Task Force in IND application, GLP Inspector, GCP inspector, to frame guidelines for submission of dossiers or proposals for regulation of biotech products (r-D~A product), Govt. of India, Ministry of Health and Family Welfare, Nirman Bhawan, New Delhi. He is in Editorial Board member in several World Journal of Gastroenterology (2010-2012), Journal of Neuroscience and Behavioral Health. He has authored five books and 60 chapters and published more than 200 articles in National &amp; International journals. Further, he was selected as a member of various central government committees (GOI) and central government funding agencies: in the IND committee, FDC Committee, Compensation Committee, Sub-committee of Drug Regulation, Schedule Y amendment Committee, Central Working Group Committee for Pharmacovigilance(PvPI), Signal Preview Committee–, Member of Biologic Task Force DGCI-DBT committee, Member of GCP inspection team DCGI, Core Training Panel Committee Pharmacovigilance (PvPI), National Formulary Committee(NFI)–IPC, Chairman selection Committee for TA(IPC), Special Invitee for national Advisory board of Haemovigilance programme, member of the committee for evaluation of Spurious Drugs, antimicrobial evaluation committee(ICMR). Basic Medical Sciences Project evaluation Committee (ICMR), ?-HCG Vaccine Committee(ICMR), Member for procurement of Instruments for ICMR institute, Core member for Committee ICMR-NIREH Bhopal, member of ICMR funding to CDRI, Special Invitee - TB Task Force, DBT Task Force member, the Expert member for anti-doping (NADA) and member of Expert group NADA, National Board Examination (NBE), Senate and selection committee member for NIPER, Member of Board of studies of Punjab University, Chandigarh, Working as GLP inspector for GLP monitoring authority (DST, New Delhi), member of Technical committee Department of Health Research(DHR), Ministry of health. 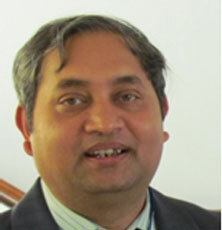 Dr.C.Adithan has joined as the Director of the CIDRF in January 2016. Earlier he worked as Faculty (Research) and Senior Professor and Head of Departments of Pharmacology and Clinical Pharmacology in JIPMER, Pondicherry. He had established an advanced research center in pharmacogenomics at JIPMER, Pondicherry with the technical support from INSERM, France, and funding from ICMR, New Delhi. He had conducted several workshops in this field. He started several new sections/ activities such as clinical pharmacology department, pharmacovigilance center, drug information services, therapeutic drug monitoring and toxicology services at JIPMER. He was the founder Professor of Pharmacology at B.P.Koirala Institute of Health Science at Dharan, Nepal. He also organized 2 conferences and more than 25 workshops. He was the President of Indian Pharmacological Society (2007) and Southern Regional Indian Pharmacological Society (2003-2007). 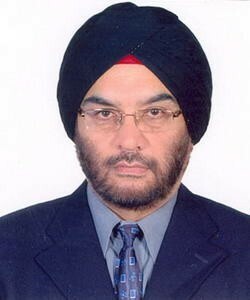 He also served as the Chief Editor of Indian Journal of Pharmacology for 9 years – re-elected unanimously twice (from 1992 to 2000). He guided 14 Ph.D. students. He successfully obtained more than Rs.3.5 crores by way of extramural research grants from ICMR, DST, DBT etc. He delivered more than 50 guest lectures in academic meetings-both nationally and internationally. 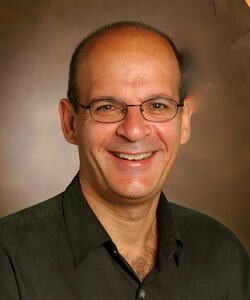 He has published 176 research papers and has authored 3 books. 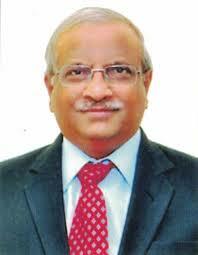 He is a member of Faculty selection committees of AIIMS (New Delhi), PGIMER (Chandigarh), University of Delhi etc. He is also a member of expert committee/judge for awarding several research awards including the Shanti Swarup Bhatnagar Prize. 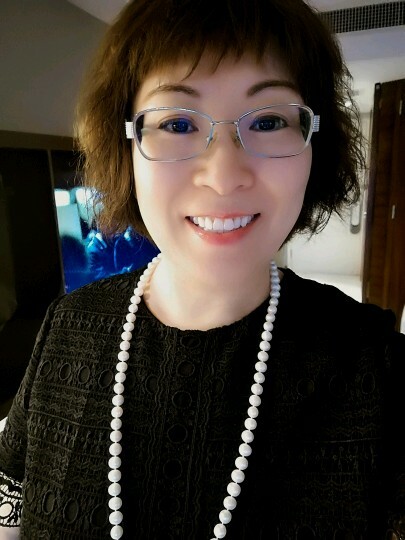 Dr. Christine Yuying Gao is a trained anesthesiologist and clinical pharmacologist with more than 100 published books, manuscripts and abstracts and 20 years of modeling and simulation experience in optimizing treatment and bridging strategies, trial designs and drug development decision-making. In 2006, she joined Certara (formerly Quantitative Solutions) in its infancy and served as director of the Drug Development Consulting Services, general manager of Asia-Pacific region, and vice president, most recently as President and CEO of Certara Strategic Consulting China. Prior to joining us in 2006, she was a senior scientist at the Pharsight Corporation (now Certara) from 1999 to 2006. During her career in both medical and consulting services, she has established herself as a thought expert in the field of anesthesiology and pharmacometrics. She has worked with more than 50 pharmaceutical companies and modeled more than 100 compounds in clinical development. Her work covers all therapeutic areas with recent focus on cardiovascular disease, oncology and neuroscience. Although residing in the United States, Dr. Gao intends to help train sophisticated talents for China and foster the development of the latest biomedical technology. She was invited to be visiting professors at Shanxi Medical University and Shanghai Jiaotong University since 2001 and 2010, respectively. In 2010, China’s Ministry of Science and Technology singled out her as one of the Hundred Experts Worldwide. Dr. Gao conducted her postdoctoral fellowship in clinical pharmacology at the Department of Anesthesia, Stanford University School of Medicine, under Professor Steven L. Shafer from 1998 to 2001. She received her Ph.D. in clinical pharmacology from the Jiaotong University School of Medicine and her MD in medical science from the Shanxi Medical University in China. Dr. S.J.S. Flora, presently Director, National Institute of Pharmaceutical Education and Research, Raebareli, India. Before joining this position he was Associate Director and Head, Division of Pharmacology, Toxicology and Regulatory Toxicology at Defense Research and Development Establishment, Gwalior. He got his Ph.D. in 1985 from Industrial Toxicology Research Center, Lucknow, India and was a postdoctoral research associate at Utah State University, USA. His most highlighted contribution has been the development of a new drug for therapy of chronic arsenic poisoning which has been approved by Drug Controller General of India (DCGI) and is currently undergoing Phase-I clinical trial. He has nearly 285 research papers including more than 80 Review article/chapters in international books, which have been widely cited in the international literature. 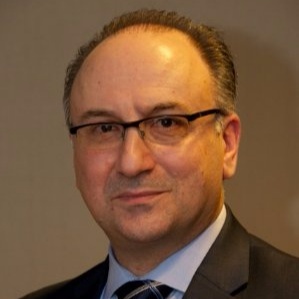 He is the member, editorial board of 32 international journals like Food & Chemical Toxicology (Elsevier), Journal of Trace Elements in Biology & Medicine (Elsevier), Environmental Research (Elsevier), Ecotoxicology and Environmental Safety (Elsevier), Human & Experimental Toxicology (SAGE UK) and Medicinal Chemistry etc. He is a Fellow of National Academy of Sciences (India) (FNASc) and has number of national and international awards to his credit. He has supervised 25 research students for their Ph.D. degree.